It probably doesn’t come as a surprise to hear that planning for retirement is more complicated today than it was a generation ago – especially as companies steer away from traditional pension plans toward 401Ks or other defined contribution plans. You now determine how much you will put aside for retirement, and how it will be invested. Rather than focus solely on risk tolerance and performance measurement when managing your retirement assets, consider a goals-based wealth management plan approach, that takes into account all of your lifetime objectives. The primary focus may be on what you will need for a comfortable retirement, but the full scope adds in the other stages of life: starting a family, funding a child’s education, the hope of a second home or world travels, as well as being able to cover health issues that may not be apparent today. This type of wealth management plan doesn’t stop at IRAs and investments, but rather starts there and stakes out a pathway that adjusts with the curves, detours, and re-routes of life. It’s important to remember that financial goals are personal and not “one size fits all.” Setting and realizing a solid plan starts with an individualized, in-depth analysis of each of your long and short-term goals. You then work with your financial advisor to map out how to meet those goals, based on your age, your assets, and market conditions. Successful planning can be as simple as following a well-thought out investment roadmap during the stages of your life — when you are building assets, when you are securing them against market fluctuations as your approach retirement and when you are living your retirement. 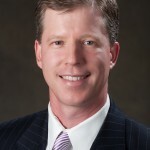 Jeff Nelligan is a Financial Advisor with the Global Wealth Management Division of Morgan Stanley in Denver.